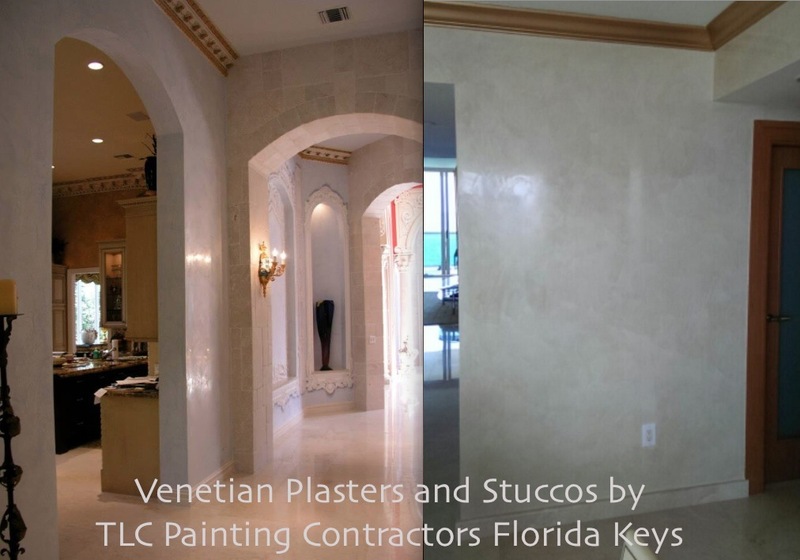 Custom high quality venetian plasters, stucco repairs and plastering services in the Florida Keys. Venetian plasters at luxury homes in Ocean Reef, Key Largo and throughout the FL Keys. Utterly stunning decorative finishes with the finest Italian plasters, expertly applied and completed by TLC. Venetian plasters in Miami and the Florida Keys. Exterior stucco and venetian plasters, repairs, waterproofing, custom high end plastering services in Monroe County Florida Keys. We have over twenty years of experience in fine custom house painting, decorative faux finishes and top quality surface applications. We use the finest plasters, authentic and real Italian venetian plaster with marble and lime. We are Florida Keys painting contractors fully licensed and insured in Monroe County and Miami Dade. We provide top quality painting services in the entire FL Keys. We excel at high quality top plastering services in the Florida Keys. A number of our completed venetian plasters and Italian stucco applications are pictured here. 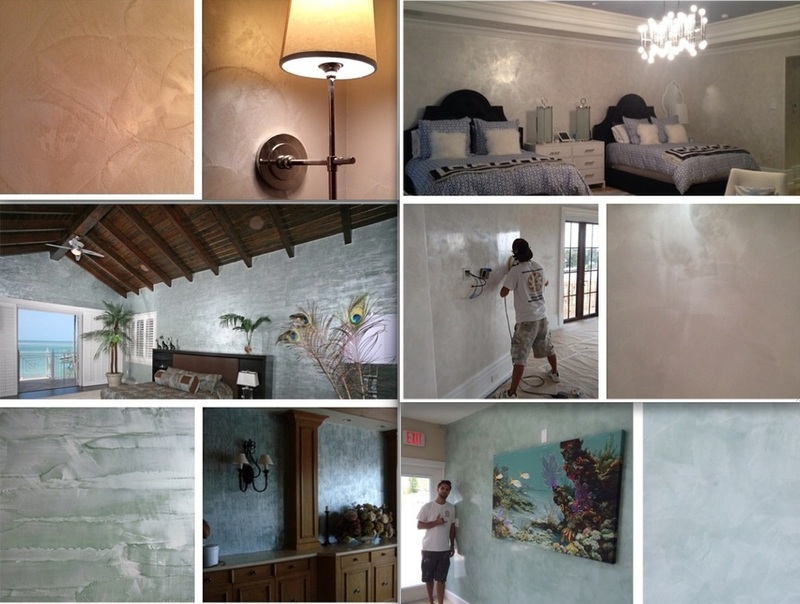 Classic venetian plaster finish in white with silverwax and buffed at Key Largo home, top left a room at Ocean Reef with plastering, bottom right artist E Hall with his venetian plaster work in Islamorada.